Our product range includes a wide range of gravity roller conveyor, material handling conveyors and heat shrink tunnel. 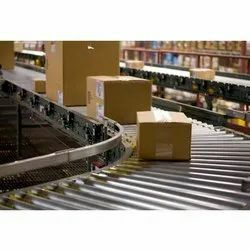 Gravity Roller Conveyors for smooth material flow. From simple slide strips to roller conveyors (gravity fed or driven) to chain transfer systems. 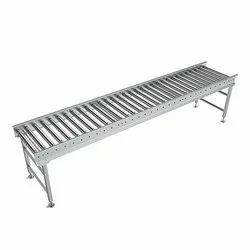 These are modular nature which means that it is possible to manufacture custom conveyors that are right for the application rather than make do with standard sized units. Target Innovations, Material Handling Conveyors leverage on our sound reputation as trusted manufacturers, suppliers, and exporters. We present Belt Conveyors that are widely used in mining, coal, and other industries. We cater to varied requirements of our clients by presenting these in different designs. Our screw conveyors come in various types according to material to be handled. Our patrons can avail premium assortment of lifting magnets for lifting and separating ferrous materials.